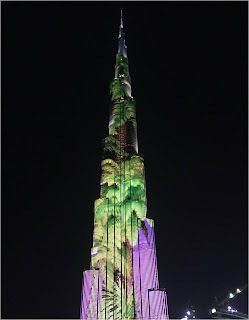 DUBAI - One Month Since I Moved Here! Nervous, excited and tired; that was me exactly a month back as I lay in my warm comfortable bed at home with a view of my packed-to-the-brim suitcases. I was setting off to Dubai to begin a new chapter in my career and life. Here’s the count of the cities I have lived in - Lagos, Mussoorie, Pune, Melbourne, Mumbai - and now Dubai was going to be the sixth city I would spend a considerable time living in. I have to say, having moved around so much, relocating never became any easier. Buried deep, that nervous feeling in the stomach persisted in the days leading to my departure. Happy to report, settling in Dubai was easy on me. Maybe it was knowing that I was just a two hour flight away from home, or that I was fairly familiar with Dubai courtesy four leisure trips to the city before, or that I already had some friends here, or that I was transferring within the same company, or that years of relocating and starting afresh made me experienced enough to deal with all the newness. Regardless, there are always a few hurdles to cross until you make a home of a new city, and I had my fair share within my first week. To begin with, I encountered some unrequited roommates in my studio apartment. Cockroaches to be precise, so many of them, the small and the tiny ones. The apartment had been freshly painted and cleaned prior to my arrival but I don’t think they paid attention to the roach problem. Getting rid of them completely involved an immediate pest control and two weeks of patient and meticulous regular cleaning. Every evening when I’d return back from work, I’d find dead roaches and would have to sweep them away. I’d get jitters wondering where the next one would creep up from. Hair-raisingly sick. Thankfully, it’s been a week and I have spotted no more. They’re gone! I can enjoy a sound sleep in the dark and my night walks to the bathroom are no more undertaken with dread. Problem number two was unexpected and creepier. This time we are talking humans. A (male) colleague at work, I found on the very first day that I moved in that he stayed in the apartment right next to mine. Husband to a nurse, he was extremely helpful with getting me settled in. But before I knew it, his behavior became questionable and shady to the point where the thought of him staying next door rendered few of my nights with troubled sleep. I won’t get into the details, but when it was very evident what he expected from me, I stopped all communication with him, and would only speak to him at work regarding work. No hellos or byes. It was a distressing experience and I will never, ever let my guard down with people. It made me realize as a girl staying alone, you always have to be self-aware and cautious and this applies no matter where in the world you stay. The problem has resolved and there have been no more incidents with the creepy guy. Creepy crawlies and guys aside, Dubai has been welcoming and warm. Hot actually. August was one of the hottest months so far. The immediate switches between hot and humid weather and air-conditioned buildings took some getting used to. It’s still hot when you step outside after 5.30pm or 6pm. Even walking short 5 minute distances is not easy. The humidity is exhausting and leaves you feeling ever so lethargic. I always carry a bottle of water, an umbrella (to shelter me from the harsh sun) and sun glasses when I go out. Also, surrounded by buildings tall and shiny you tend to sometimes forget you’re at the end of the day living in a desert. Trees are not commonly spotted here. And I long to see some green dotting the suburbs and the city. 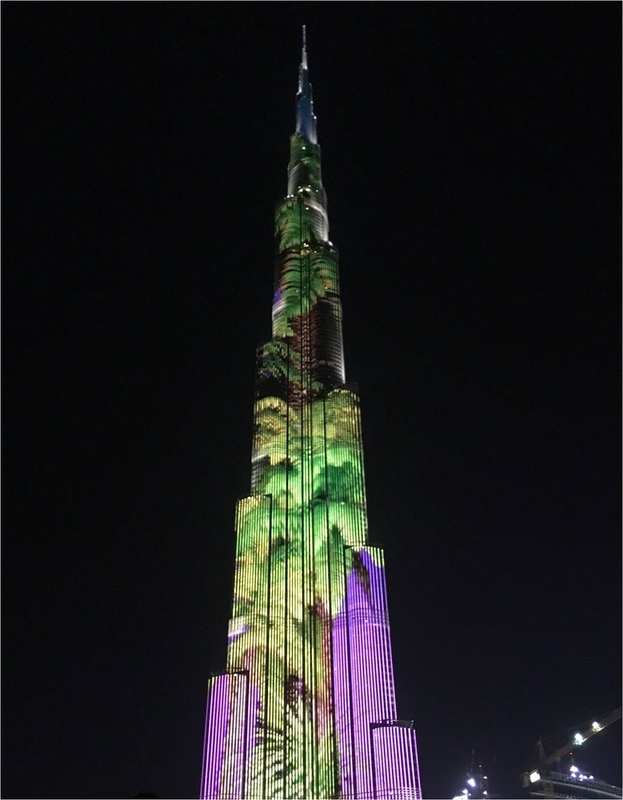 But you already know - Dubai has it all, including some lovely man-made lush green parks, one of which I explored only yesterday – I lay on the grass and star-gazed over a drink of Barbican. It was lovely! And need I speak about the abundance of food in the supermarkets and restaurants in Dubai? You have access to some of the best quality of locally and internationally sourced produce and ingredients. I for the first time ever ate honey cake – it was one of the most amazing tasting deserts I never knew existed. Soft and buttery, I ate more than my share of it over two-three days, to the point where I don’t want to eat honey cake anymore. Temptation is easy. I was cautioned by a ‘kind’ colleague that if I was not watching what I ate, I’d put on anything from five to ten kilos in weight by the end of my third month in the city. The thought scares me. I sometimes take the longer route back from work to home or sometimes I go to the mall with no agendas and walk the long endless floors just window shopping and people watching – all in the effort to rake in some extra steps. In case you’re wondering, I’m just not a gym person. Work-wise, things have been pretty good too. People seem to disappear the minute the clock strikes 6pm. This is unheard of in the office cubicles of India. A person's private time is very much respected. What's more, my office is like one global congregation of people. Name the country and chances are there's a person in the room from there. I have never before met people from Romania, Kazakhstan, Kyrgyzstan (I admit not even knowing how to spell it), Denmark, Philippines, Egypt, Lebanon, Japan, Brazil, Australia, Scotland, Ireland and India - all of us under one roof working together. Can you imagine the richly diverse interactions you're having! All in all, so far, I am happy to have made the move. There’s always so much to learn when you challenge yourself and take the plunge out of your comfort zone. The exposure and experience is such a life education, not to mention the fine touches it adds to character. I look forward to all the newness that’s coming my way!